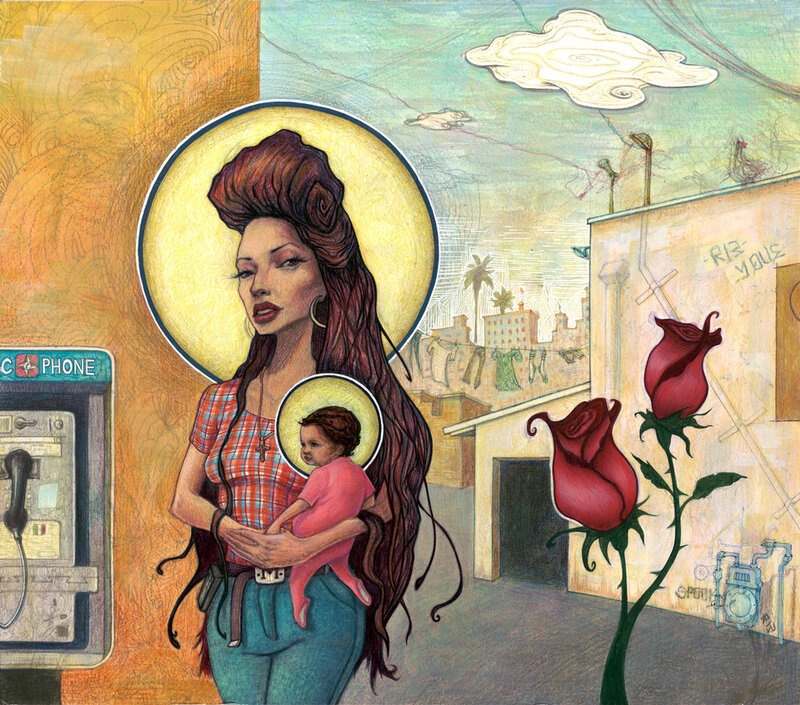 A Mother and Child painting I created, based on my Cousin who was a Chola during my childhood. I wanted to glorify her for the beautiful young lady I knew, despite the menacing subculture she was attached to. A painting I created, inspired by Cholas, also known as Female Gangsters, based out of Los Angeles. It's a portrayal of how commonly they become teeneage Mothers, a memory taken from my childhood. 18 x 36 in. Acrylic ink & graphite on Watercolor paper mounted on panel. A painting I created, inspired by my older Cousin who was a Chola growing up. 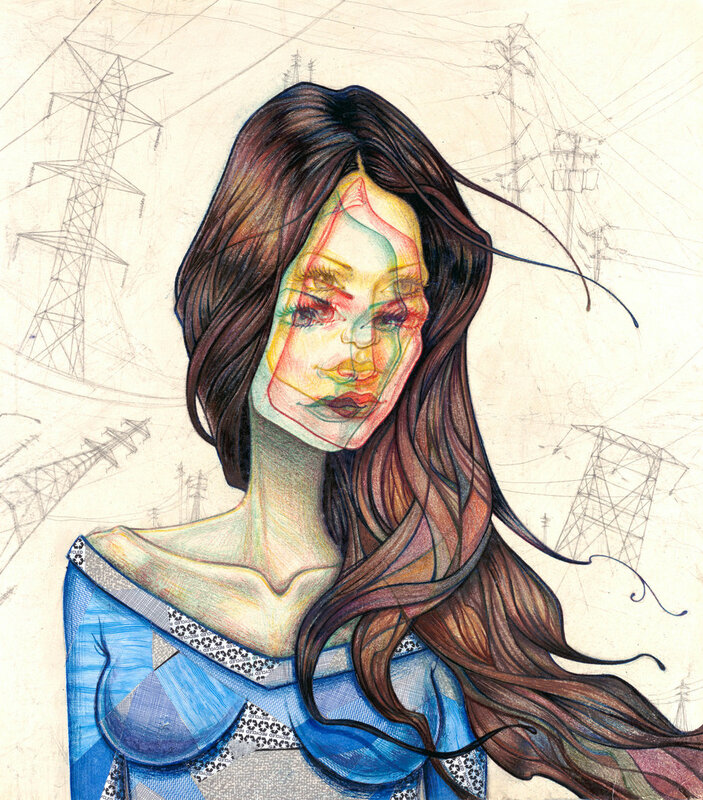 She's surrounded by her Barrio environment, influenced by East Los Angeles. A painting I created, inspired by Cholas, also known as Female Gangsters, based out of Los Angeles. The powerlines are symbolic of the freeways that run through Latino neighborhoods. A painting I created, inspired by Cholas, also known as Female Gangsters, based out of Los Angeles. It is a symbolic take on a young Woman trying to mend her broken heart. 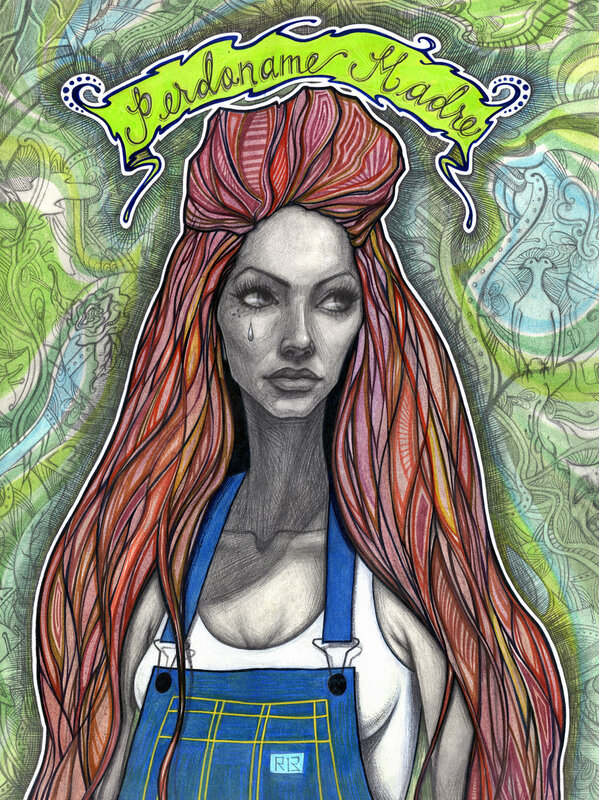 A painting I created, inspired by my older cousin who was a Chola, growing up. It showcases my memory of her inner spirit, despite her rebellious exterior. 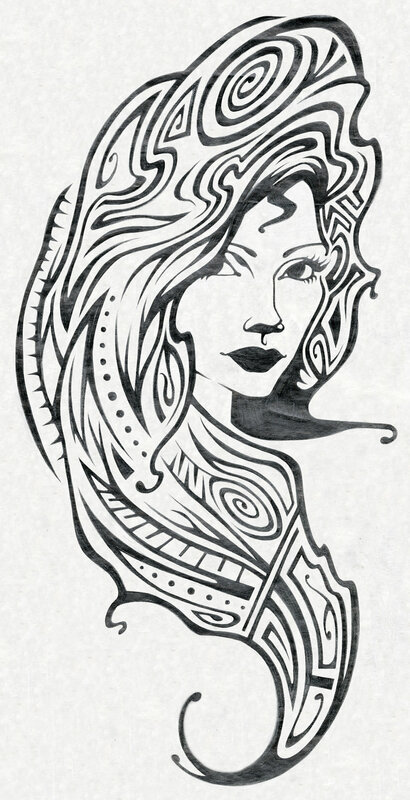 A drawing I created, inspired by Cholas, also known as Women Gangsters, based out of Los Angeles. It's a design for a Stencil I once used frequently, as a Street Art hobby.